As the name suggests 4 Local Area Network’s, it’s as simple as that…. or is it ? Yes we are a rapidly growing Australian Voice & Data infrastructure supply company based in Marrickville, Sydney but I’m sure you have heard all that before and there are plenty of other suppliers in the marketplace. 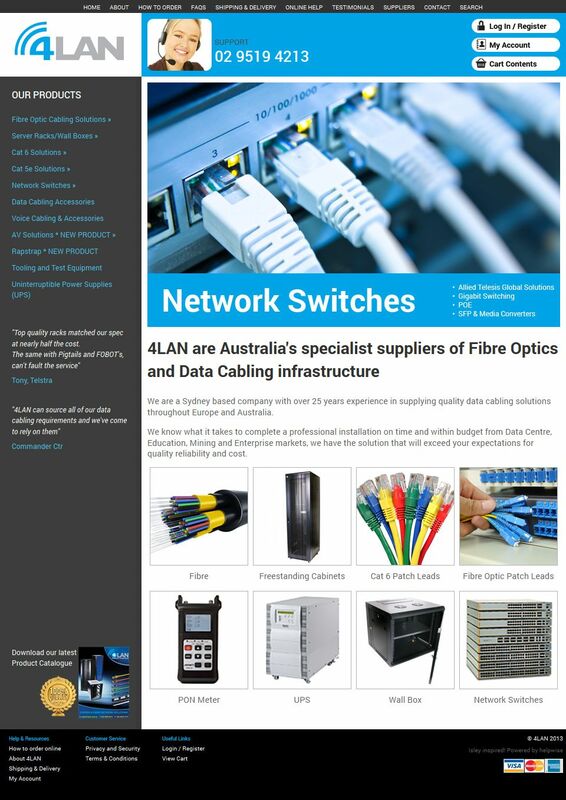 What makes 4LAN standout is our commitment to offer Australian business the best range of Fibre/Copper and Server Rack products at an affordable price that means top quality products without the so called “brand ” name ridiculous costs.